Tuscany has so much to offer, whatever the season, whatever your requirements are. Below are a selection of nearby activities, but do not hesitate to ask the hotel concierge for more information or advice. For those who enjoy the sun and the sea, the Maremma represents a real nature paradise. Each year, the coast of the Maremma is awarded the Blue Flag recognizing the quality and the cleanliness of the waters along its 160km of shoreline. The stretches of sandy and rocky coastline allow all sea lovers to find the perfect place for them. Moreover, the vast pine tree forests which border the beaches of the Maremma are a real treasure. Leave it to us and we will send you to a deserted driftwwod beach or book a perfect “bagno” for you with sunbeds and a beachbar! Ask us for details on Castiglione della Pescaia, Punta Ala and the Alberese. The Tuscan Coast offers explorers a fabulous area to dive. From ship wrecks to wonderful corals, and all sorts of marine species, the crystal clear waters and the diversified sea life make this a very unique experience, open to all diving levels. The heart and capital of the Metalliferous Hills is Massa Marittima, a real architectural jewel of the Middle Ages. 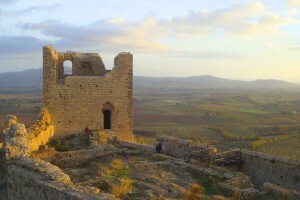 However, many villages and castles in the area are of great historical and artistic interest. Roccastrada, Sassofortino, Roccatederighi, Montemassi, Monterotondo Marittimo, Vetulonia, Montepescali, Scarlino, and many other villages in this area should not be missed. Please ask our staff for further details on these and other destinations to visit. Most of them are within half an hour from the Resort. The “Hanging Garden” Adventure Park is set among centuries-old oak trees in “Il Giardino” state forest at Riparbella (Pisa), where acrobatic courses through the treetops have been created and are open to all. There are 5 acrobatic courses – 2 for children over 110cm tall, and 3 for adults and youngsters over 140cm tall – consisting of a series of fixed and suspended platforms linked by crossings of varying lengths and degrees of difficulty. Via del Vigna 199 – 57121 Livorno. Cavallino Matto, Tuscany Fun Park – A great place to spend the day with the kids. Cavallino Matto is an amusement park located 45 minutes from Conti di San Bonifacio Wine Resort. With games, rides, shows and other amusement, Cavallino Matto provides fun for the whole family. There is also a restaurant located in the park. Regular entry is 22 Euro for adults, and 17 Euro for children under 1.3 meters tall. Acqua Village – Water Park. A fun way to cool down during the summer months. Acqua village is an amusement park with water rides and slides, kids pools and vaporizers. Located just twenty minutes from Conti di San Bonifacio, in Follonica. Admission is 20 Euro for adults, 15 Euro after 3pm. Children from 3-11 years have an entry fee of 15 Euro, or 10 Euro after 3pm. Children under 3 are admitted free of charge. Covered parking costs 2 Euro.